After a gunman killed nine people at an Oregon community college in early October, President Obama made a familiar walk to the White House briefing room to express sadness and outrage over another mass shooting. "Somehow this has become routine. The reporting is routine. My response here at this podium ends up being routine. The conversation in the aftermath of it. We've become numb to this," President Obama said, citing the proliferation of guns as a root cause of mass shootings. It was the eleventh such statement of his presidency. He acknowledged the limits of his power and the political roadblocks to enacting more stringent gun laws. Little would change, he said at the time, until voters support politicians who share his view. The president assigned White House lawyers to scrub the law for any unused executive powers at his disposal. Aides to Mr. Obama declined to discuss details of those internal deliberations, but say they're ongoing. But gun safety groups aren't waiting for the administration to finish its review. Currently, federal law defines a gun dealer as someone "who devotes time, attention, and labor to dealing in firearms...with the principal objective of livelihood and profit." Dealers need federal permits to sell firearms, and their buyers are subject to background checks. A hobbyist, who "makes occasional sales...of firearms for the enhancement of a personal collection or for a hobby," is classified differently. These occasional sellers aren't required to obtain a permit, nor are their buyers subject to background checks. And their sales are typically made privately, online or at gun shows. But a gun that counts as part of someone's personal collection is ill-defined. The report recommends Mr. Obama narrowly define it this way: only a gun that "has been owned for a period of one year, unless it was obtained through inheritance" should count, the report says. 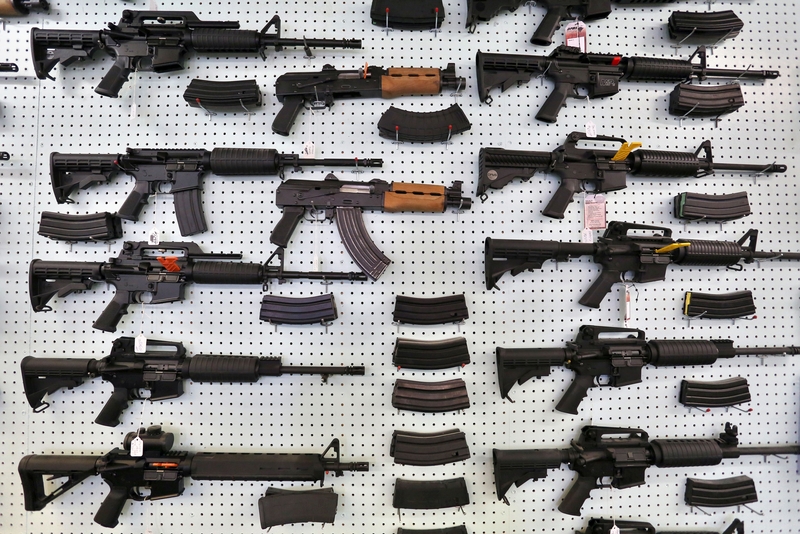 Elizabeth Avore, an attorney for Everytown, argues that if the law is better defined, it would cut down considerably on gun trafficking and make it easier for prosecutors to build a case. Avore says the administration could implement the recommendations through the regulatory process. But even representatives from Everytown acknowledge their recommendations - if adopted - wouldn't have stopped the mass shootings in Roseburg, Oregon, Ft. Hood , Texas; or Aurora, Colorado. Guns used in those attacks were purchased legally from dealers. "If the threshold for being a 'good' policy is whether it prevents all future gun violence in America, we will never take another step toward making our communities safer, because there is no single solution to this epidemic," Everytown's director of research Ted Alcorn said. Gun rights groups argue that changing the law could have unintended consequences. CBS News's multiple attempts for comment from the NRA went unreturned. But a National Rifle Association spokesperson told the Washington Post in October that a change in the law could unintentionally "ensare" a widow selling off her late husband's firearms. "People who repeatedly sell large volumes of firearms are already covered in the current statute because they are already defined as 'engaged in the business,' " Jennifer Baker of the NRA told the Post. There is some evidence that the opportunity to purchase guns from "private" sellers who don't have to conduct background checks leads to more crime. In 1994, Connecticut passed a strict "permit to purchase" law requiring anyone intent on buying a gun -- even from a private seller -- to get a state-issued permit after passing a background check and a gun safety lesson. A study published earlier this year in the American Journal of Public Health estimates the law reduced gun homicides by 40 percent between 1996 and 2005. While the impact of such laws may be hard to measure, anecdotal accounts show how people have turned to private sellers to skirt background check laws to buy guns to commit a crime. For instance, in 2012, a Wisconsin man named Radcliffe Franklin Haughton killed three women and wounded four others before killing himself. He was barred from legally owning a firearm, but the New York Times reported that Haughton was able to skirt background checks by purchasing a gun from a private seller. Meanwhile, sites like Armslist.com have made it fairly easy to purchase a weapon from a private seller online -- and online private sales are far more prevalent in states that do not require criminal background checks, according to a 2013 study from the group Third Way. Additionally, Mayors Against Illegal Guns charges that many of the "private" sellers aren't just selling off their personal collection -- the group published a report in 2013 that says 29 percent of ads on Armslist.com are posted by "high-volume" sellers who posted five or more ads over an eight-week period.